This post is sponsored by BISSELL. All opinions and words are 100% my own and I only share things with you that I love! 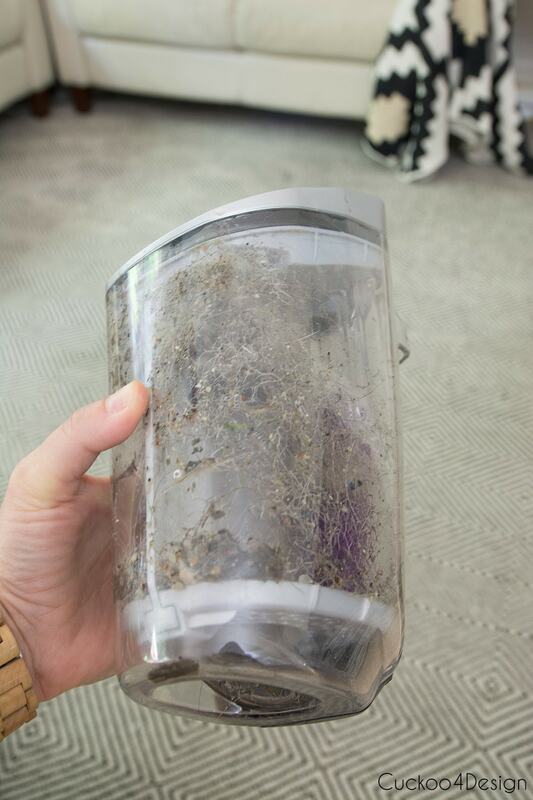 Today I want to share my BISSELL CrossWave® Pet Pro review with you. 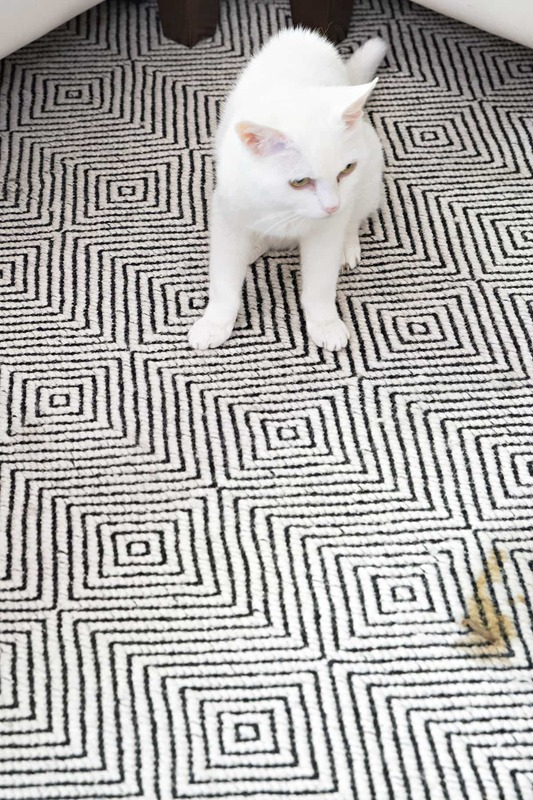 I’m super thrilled about today’s post because you guys know how much I love my kitties and that I try to keep our home clean which can be a challenge for everyone who has pets (and children). Most of you who read my blog are animal lovers too and if you own a cat like us then you know how messy it can get with their fur, litter and hairballs. I shouldn’t even phrase it as nicely as “hairballs”…lets face it… it is vomit, and hairballs is just a nicer word for it. Let’s start with the ‘hairballs” again because things have gotten really ugly with our 19 year old cat Lucy. All she does is sleep, throw up, snuggle and hopefully eat. You know I’m always worried that she doesn’t eat enough but that’s part of a cat going into kidney failure. They are nauseous and don’t have a big appetite anymore. Even without eating a lot, Lucy can throw up numerous times during the day. Below you can see her sleeping on her “hospice bed” (how I call it) which is on one of our chairs. It includes a timed heating pad and is always covered in blankets, so I don’t have to clean the upholstery. You can see how dirty it is from spit up and food remnants. Below that “hospice bed” is our favorite area rug which we have only ever vacuumed and spot cleaned. 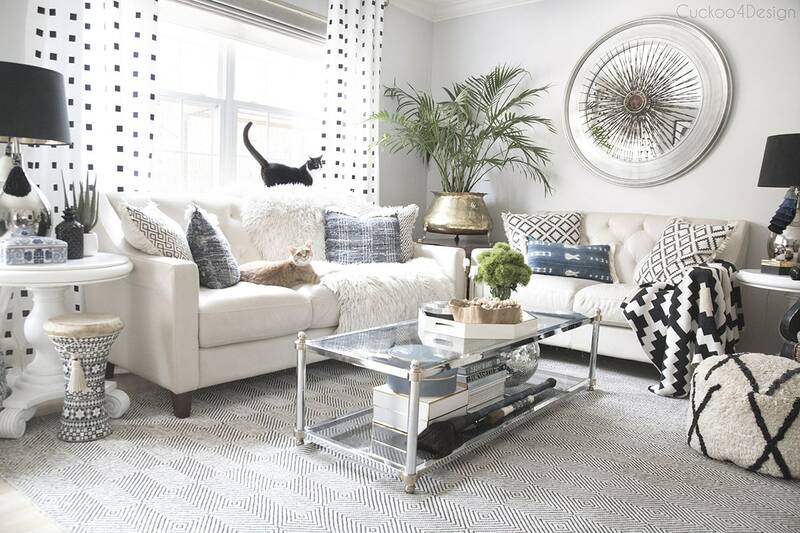 It is a flat weave and our previous rug shampooer was way too harsh for it and the other area rugs, which is why I gave it away about two years ago. Anyways… that rug has never gotten cleaned professionally and a major reason for that is that I am too cheap and can’t afford to send them out to pricey cleaners. So I was really happy that I got to try out BISSELL CrossWave Pet Pro on my favorite area rug. One of it’s features is that it vacuums and washes at the same time. 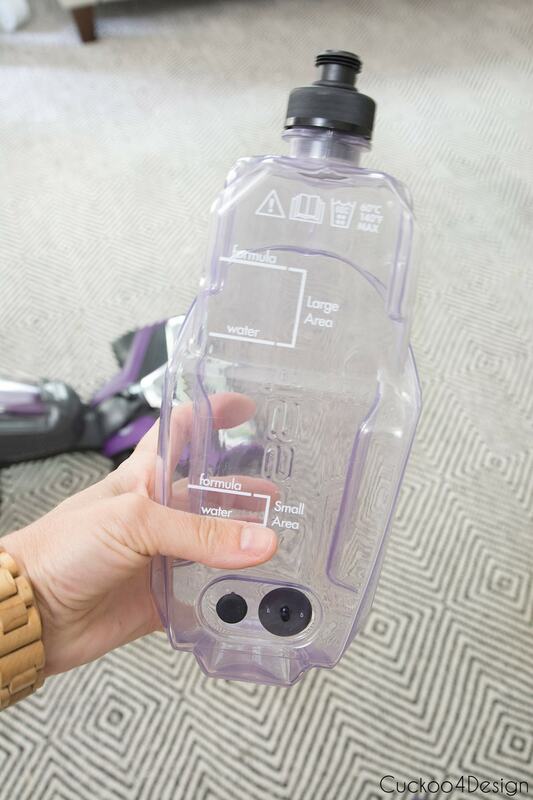 This eliminates the hassle of spot cleaning with cleaner and water and having to wait until it dries so you can finally vacuum. It also easily transitions from rug to hard floors by the press of a button. My pet peeve is when my cats throw up right at the edge of the area rug and it runs down onto the floor. So annoying! I cleared out everything first of course! 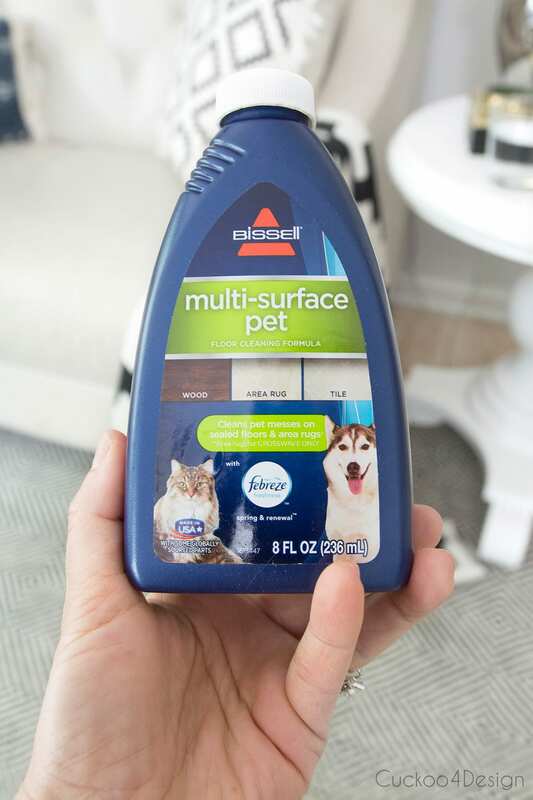 The BISSELL’s CrossWave® Pet Pro comes with a multi- surface pet brush roll (tangle-free for hair up to 8 inches long) and multi-surface pet floor cleaning formula that includes Febreze to ensure a good smell. The biodegradable detergents in the formula are safe for pets and children and do not contain heavy metals, phosphates or dyes. The cleaning formula gets poured into the tank after you add the water and the lines make that really easy as you can see. First fill the water to the line and then the cleaning formula to the next line. In my case I definitely needed the Large Area amount! I went in even rows across the area rug and my curious inspectors were always watching me closely. 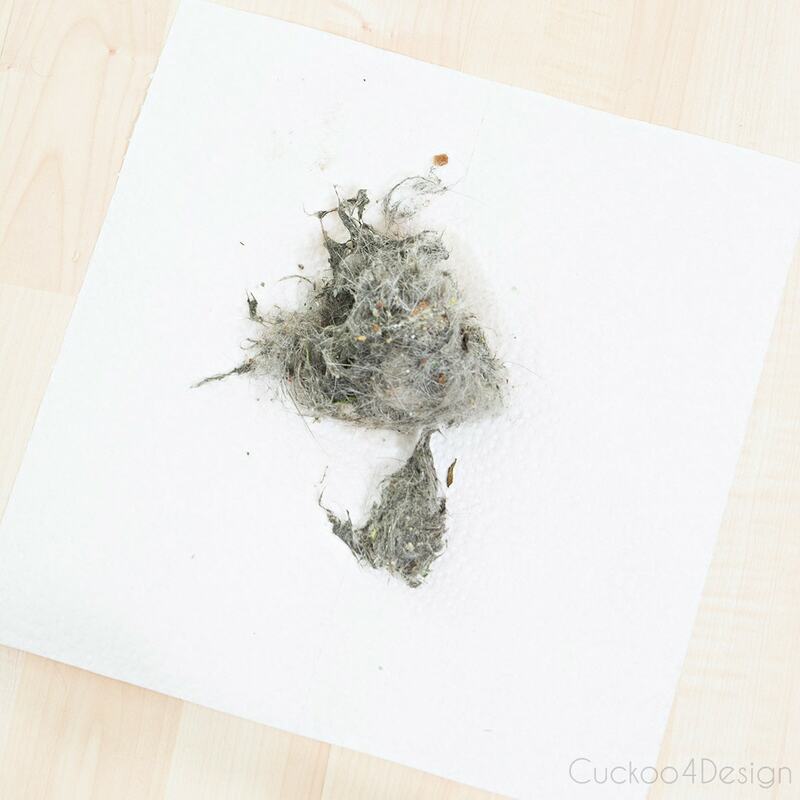 If you get nauseous easily then please close your eyes and don’t look at the next photos because it is disgusting what I had stuck in my rug. You really can’t make this stuff up. I’m so embarrassed to share this with you. It didn’t even look that dirty. I mean look at the tank!!! Another really handy feature is that the dirty water tank comes with a strainer so you can pour the dirty water out and throw the dirt that is stuck in the strainer away. This isn’t where this story ends though. Just after I was done cleaning the area rug, I heard the dreaded noise of my cat heaving. I’m sure you guys know what I mean! As a cat owner I drop everything when I hear that noise and run to the source so I can pick my cat up and place it on the hard surface to finish the business there. Why do pets always pick the rugs to vomit on? Can anyone tell me that? I think, now I will never have to hurry again because my BISSELL was ready to pick it all up and I didn’t need to touch a thing. I still wasn’t done because I wanted to test it out in some other areas of our home that frustrate me on a daily basis. It all cleaned up so fast without me having to touch a thing. I didn’t even have to get on my hands and knees. And lastly I tried it on my favorite vintage shag rug and bamboo flooring in our upstairs bedroom. It was a breeze again and I got so much hair and debris collected again. without having to switch cleaning tools or having to get on my hands and knees. My favorite feature is definitely that I can wash and vacuum on both hard and soft surfaces. I couldn’t help but grin because I got photobombed once again by Maya who was ridiculously interested in my new gadget. What makes this company even more dear to my heart is that they truly care about animals. I’m a huge supporter of adopting animals from shelters. I get so upset when I read the statistics about the euthanasia rates in this country which I talked about in my recent TNR post (HERE). Cathy Bissell founded BISSELL Pet Foundation to help reduce the number of animals in shelters and rescues through pet adoption. BISSELL helps pets in need by donating $10 to the BISSELL Pet Foundation for every CrossWave Pet Pro that got purchased and then activated on bissell.com. I think that is a great thing, don’t you think so? Let me know if you have any questions regarding the functions and how I was able to clean with it below in the comment section. Cats pick the rugs. (Or cushioned chairs ) to vomit on because it allows them to get their claws into the surface and helps them to heave…which they can’t do as easily on hardwood or tile. I never thought about that but that makes total sense Carol. 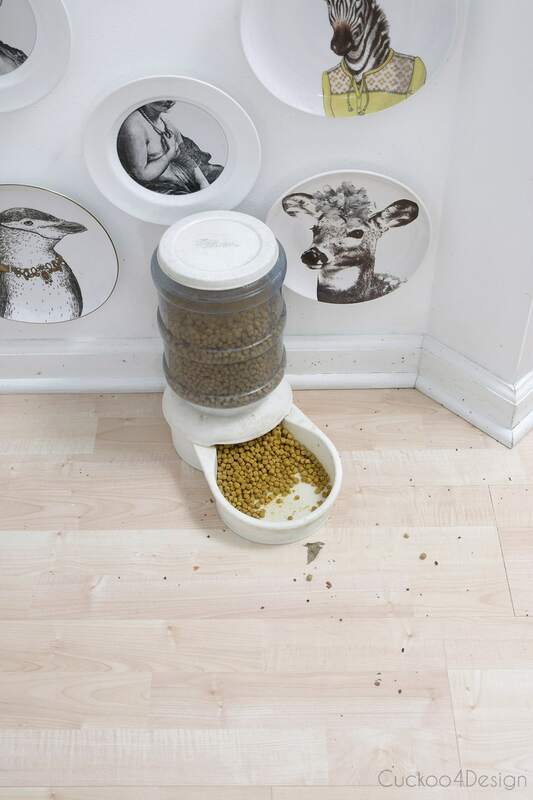 I would love this product to clean up cat vomit as well. Not to mention toddler messes, older child messes, heck even husband messes! Oh tell me about husband messes!!! I would love to try this Bissell vacuum cleaner! 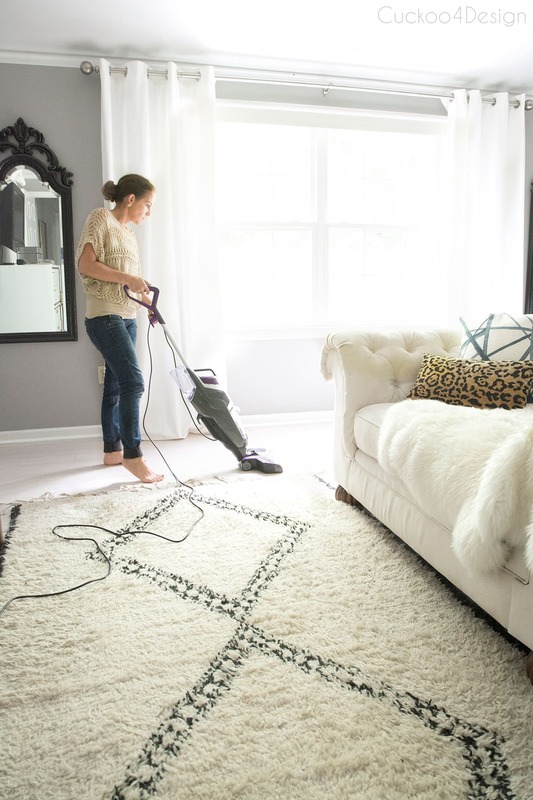 As a dog lover and keeper of a clean and tidy home, I feel I still have yet to find the right product to care for my area rugs and wood floor. This vacuum cleaner sounds like a game changer! I truly love that it eliminates the other gadgets I have because it does everything. I’ve seen this on TV and thought it sounded too good to be true and now you tell us it is as good as the commercial says. Oh, I would LOVE, LOVE, LOVE to have this to help with the rolling furballs, the constant tracking of teenage boys and general day-to-day cleaning. I will wait with baited breath, hoping I win! i have the same rug as you and i have dirty furballs of my own! i need this vacuum! 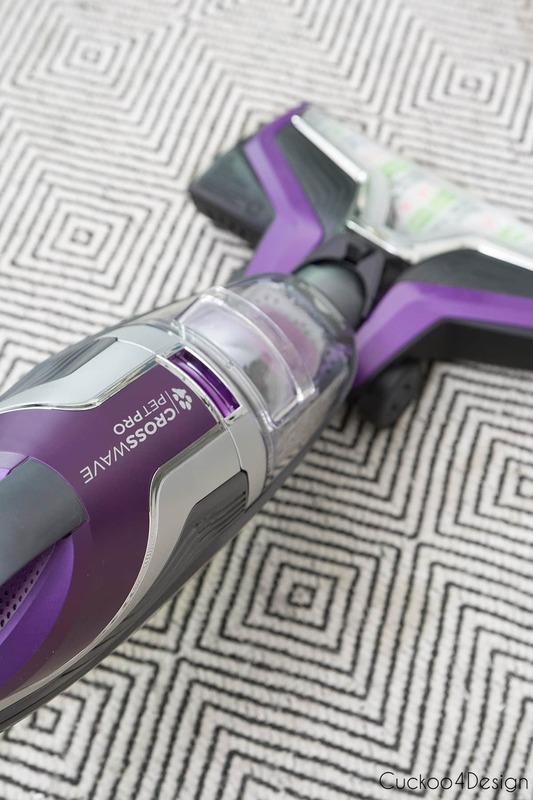 With two dogs, one cat, and human kids, this vacuum sounds like something I need. Plus we also have primarily wood floors with area rugs so this sounds great to clean both in one shot. As my dog gets older, having something to clean up after her is a must! It’s nice to hear that it cleaned your vintage rug without a problem! With 5 permanent resident cats and 6 foster kittens at this time I could so use this. With all the foster kittens I have I know my tank would look way worse than yours, LOL. This vacuum cleaner sounds like a dream! 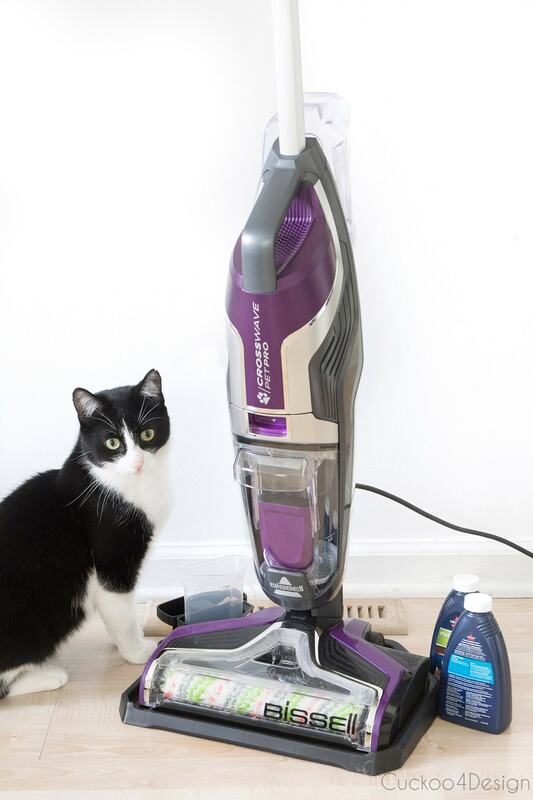 I have two long hair kitties, and would love this vacuum to help me keep on top of our house cleaning. I also love that the Bissell brand is committed to saving shelter animals! 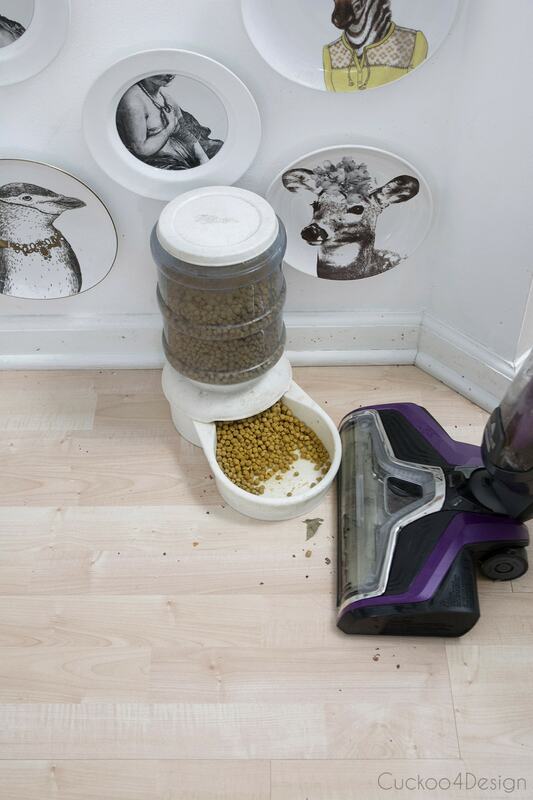 Their products are so well thought out for pet owners, bravo Bissell! Wow! I can’t believe the amount of animal hair you picked up! As a full time working mother of a 2 year old, a large (always shedding) dog and two cats I’m looking for a cleaning machine to save me time and the hassle. Love their cleaning solution as well, it’s great! I love my CrossWave! It really does pick up so much pet gunk, hair, drool, etc! Love that you used it on all your rugs! I would not be so hesitant to purchase a quality rug if I had a convenient Bissell Crosswave! I have pets and children who have ruined our rugs. My previous rug cleaner did not do a great job and we got rid of the rugs because I didn’t want my children crawling on them. 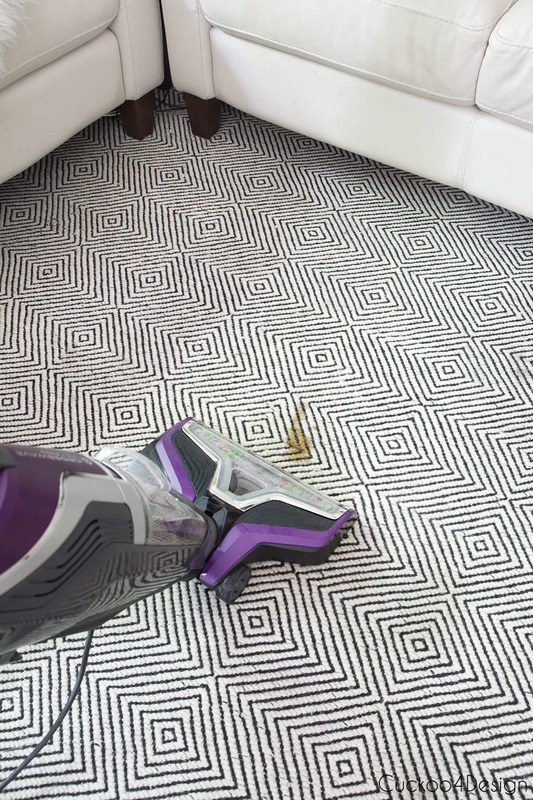 The Crosswave would eliminate any worries I’d have about keeping a rug clean! 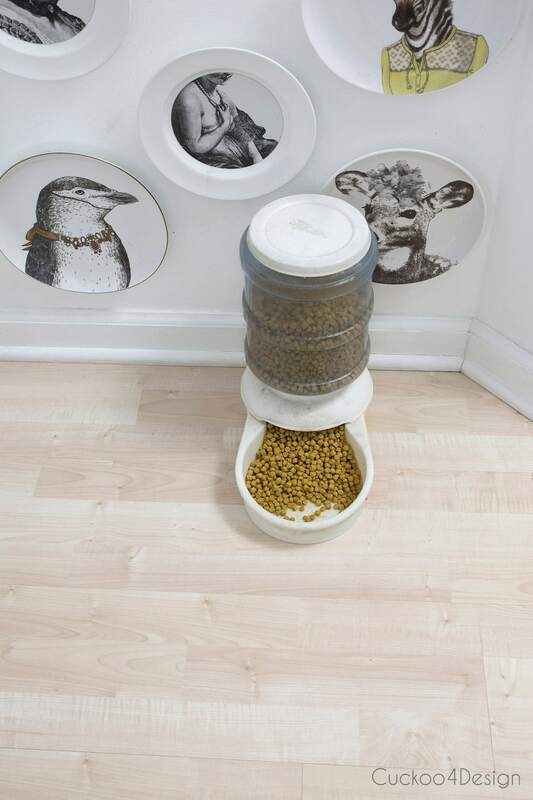 My older cat also throws up a ton of hairballs, so this would be super helpful in my house. Thanks for the opportunity! I have a 17 year old CKD cat and am going through the same things! It is hard but we just try to cherish each day that he is with us, feeling happy and eating. I also have one dog and several feral cats. Everyone in our house is rescue and we a love each and every one. With all of them I am always on the quest for the perfect vacuum and carpet shampooer. My friend forwarded me your review and now I am hooked on your site! Thanks for your review and my fingers are crossed that we get to bring a Crosswave into our home! Between my two cats, two teenage girls, and one messy husband, I clean up far more than I thought I would. A little extra help would be heavenly! One of my cats, Scooter, is absolutely adorable but not very bright. He eats too fast and then vomits. He’s the messiest of the bunch. I have the same exact rug but have not put in my living room yet out of fear. The love of my life is a 10 year old Lab Rescue. 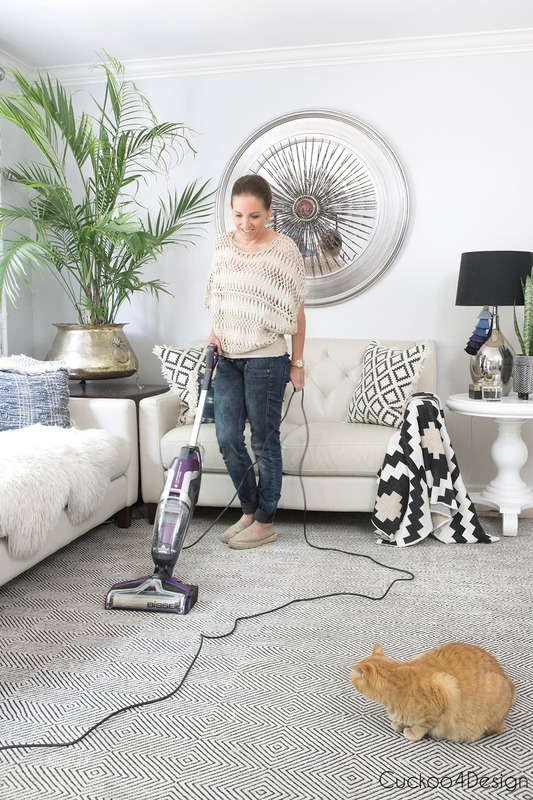 I would love this new Bissell Crosswave so that I can finally feel comfortable putting out my rug without it getting ruined. Thanks for the great post! My dog puked on my bedroom rug and then a neighbors dog came over and peed all over it! I obviously need this Bissell in my life! I have a small dog with tracheal problems( and a messy husband who drags things in from the yard ) and for my dogs’ sake I vacumn and steam mop daily . But it never seems to help . This vacumn seems like a miracle! We have two doggies and we have hair imbedded everywhere! I would love something like the Bissell to help me clean it up! Howdy! I think i’d actually enjoy cleaning if i owned that BISSELL. Our sweet kitty Marilyn has issues only a mom can relate to. She has bladder leaks and shes only 7. Imagine how much I’m cleaning so our house doesnt smell like vet clinic. I’ve tried every product out there to spot clean. Oh the damage i could do to stains with that vacuum! She’s still very active and won’t keep a diaper on so thats out. She also had bladder surgery recently to remove a stone and although it eased her pain it didnt do anything for mine. Unfortunately she still leaks. She’s our family so putting her outside or worse just isnt happening. Please help me and everyone who visits our house breath a little easier…literally. Thanks! I live in a fairly small apartment with 2 cats in an old Victorian turned multi family home. Sometimes it’s like the Wild Wild West in here with the fur that builds up in absolutelyno time! I’m dealing with some chronic pain issues – so adaptive equipment – or equiptment that does the job without unnecessary elbow grease is much preferred. And it’s shedding season. I swear my cats must scoot back and forth on such a miniscule scale while laying down, just enough to leave behind ALL of their loose fur right on my couch/chair/bed/carpets. 🙄 They’re crazy but I love em to pieces and they’re so worth it! The large and small of it is my Lhasa and Golden Doodle. Could really use the Bissell. I need this for my adopted menagerie. It is so hard to have clean floors with cats, dogs, birds and a crew of 17 year old boys. This is a real clean machine! Just what I need to spruce up our home. If I don’t win the free one, I would love to buy one. You did a great job of describing how essential it is. Thanks for the tutorail. I have two hair-dropping dogs – a black lab and a border collie – and my house is FULL of tumbleweeds! I need the Bissell Crosswave like you wouldn’t believe. I have hardwoods, tile, and antique Persian rugs, so I think this would be super handy in my house. Crossing my fingers!! Thank you we will be getting one of these for our home! Love that it does everything! Your rug did not even look like it could have that much on it lol! I tried the link to get a rug like yours but it did not work. Will you please tell me how to purchase? Thank you so much! I really enjoy your blog!! I was so excited to find your review!!! I’ve been fascinated and quite curious sine the first time I saw the Bissell Crosswave. I’m so excited that they now have a “Pet” version. I would love to have a Bissell Crosswave for many reasons. Not only do we have an indoor cat, Maurice, who rules our home (and our hearts), but We have 2 sons who still live at home. Because we have carpet, tile, hardwoods and area rugs in our home, I believe the Bissell Crosswave would be perfect to meet our needs!! Are the vacuum and shampoo functions separate? So I can just vacuum and then switch to shampoo if I come to a mess? This looks so much easier to use than my big carpet shampooer!! Want this so much! Reason: 5 chihuahuas who shed like crazy, and have accidents on tile/wood floors at times. Also for my mom, who is 95 and helps to care for them. I believe this would be easy for her to handle, no more stooping over to clean floor. Just spray and clean! I would love a Bissell Crosswave. We have 5 cats and a dog, all of which are in our home at one time or another. We also have very sandy soil that tracks on my floors and rugs. I simply can not keep up. This sounds like the ideal answer all around. I just discovered the CrossWave® Pet Pro by accident and can’t even remember how I came to it but so glad I did. We have 5 cats that are all rescues. 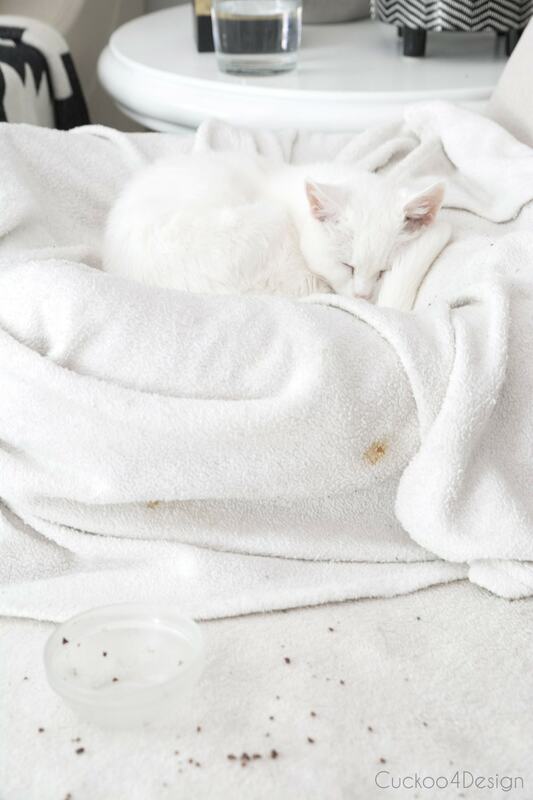 My husband and I have been rescuing cats for many years so we always have cat hair, cat food messes (you’d think we had 5 little piggies) and accidents. We have hardwood floors and carpeting so the CrossWave® Pet Pro would be perfect for our home, not to mention how much easier it would be on my back! Thank you! 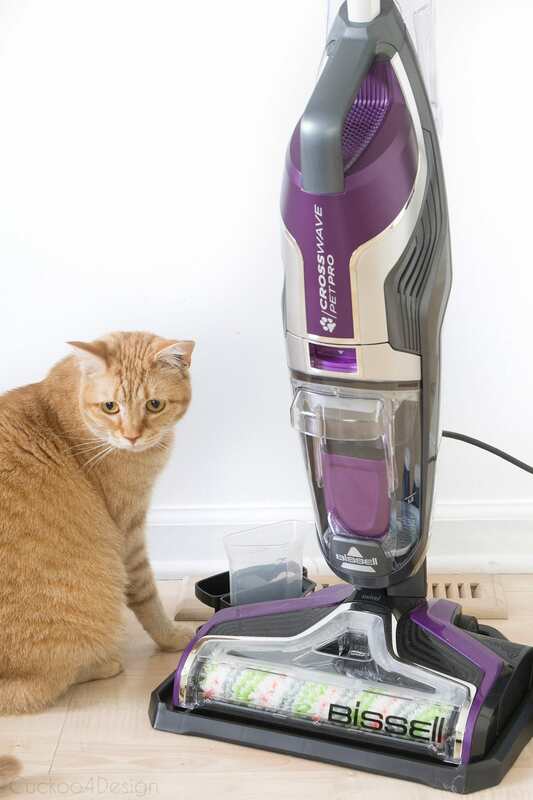 Great post and I love what Bissell does for pets and pet owners. I had already told my husband that my next purchase will be a Bissell. Thanks so much for sharing.